With the growing popularity of suburban and rural living, combined with the increase of devastating wildfires each year, the loss of property is staggering. 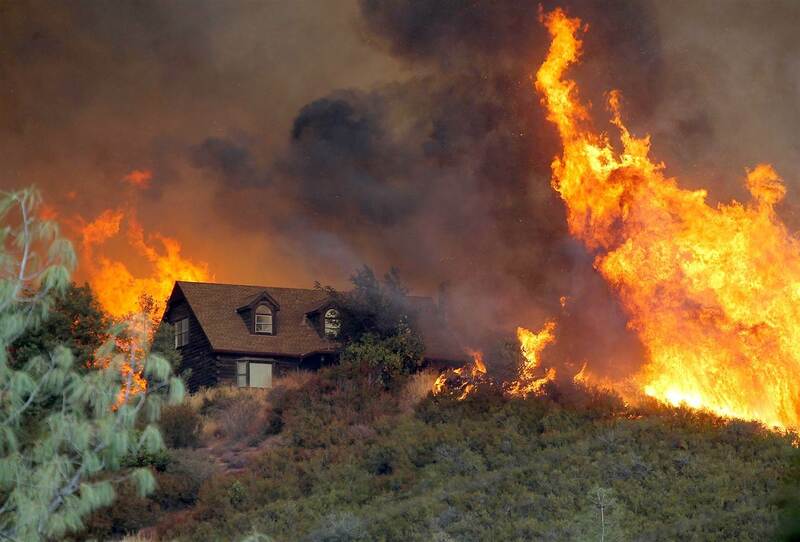 There are many people and organizations researching why certain homes are more susceptible to wildfires. What they are finding is that it’s the little things that can add up into home loss. Most homeowners look at the big things: fire repellent roofing and siding, moonscape yards devoid of life, and 6 foot wide fire breaks. Many just think of the cost in energy, time and money and opt to increase their fire insurance. Not only can it be expensive, it can be ugly! But luckily science is telling us that it’s the small and often overlooked jobs around the property that will safeguard your home from wildfire. Clean up the grounds around your home. If you have grass, keep it cut short and watered. Clear up dry, dead or weedy patches. If you are thinking about landscaping, you might want to check out native plants, as they require less water and help to maintain your ecosystem. Don’t place dry mulch against your house, this is kindling for a wildfire. Clear any dead or dry shrubs, bushes and scrub within a 20 foot radius of your house and any outbuildings. Thin out any trees growing close together. “Limb up” or remove any tree branches below 12’. This will help stop any low-burning fire from spreading to your tree tops and from there to your roof. Clean off your roof and gutters – a stray spark can land and set leaves, pine needles or other roof debris to burning. Screen off any vents, this includes air ducts, chimneys, and attic air flow vents. This will help to prevent any sparks from landing in your vents and starting a fire in your roofing.